YouTube's move into the movie rental business has been on the cards for some time now, after a successful launch of the service across the pond. Now film buffs in blighty can get their digital paws on thousands of streaming movies at the touch of a button (or touchscreen). Renting a movie from YouTube will set you back between £2.49 and £3.49, which grants you access to a digital copy of the film for 30 days. Once you start watching the film, you'll have 48 hours to finish it before YouTube's technology fairies whisk it back into the aether. We've seen this sort of DRM before in iTunes rentals and LoveFilm's streaming service, which both apply the same terms and conditions as Google do with their YouTube rentals. We're all for the convenience of instantly renting and streaming movies, but film buffs will no doubt already have sussed out that LoveFilm's physical rental service is much, much better value (unlimited movie rentals for a tenner a month, for example). To start renting movies from YouTube you'll need a Google Checkout account (a Gmail account with a linked credit or debit card). 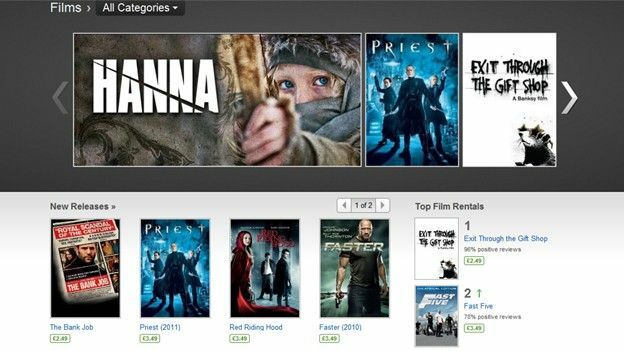 With Google all paid up you will be able to stream your choice of movies to any PC, tablet or Android phone you like.